Six-Guns – Games for Windows Phone 2018 – Free download. Six-Guns – Restore order in the Wild West. 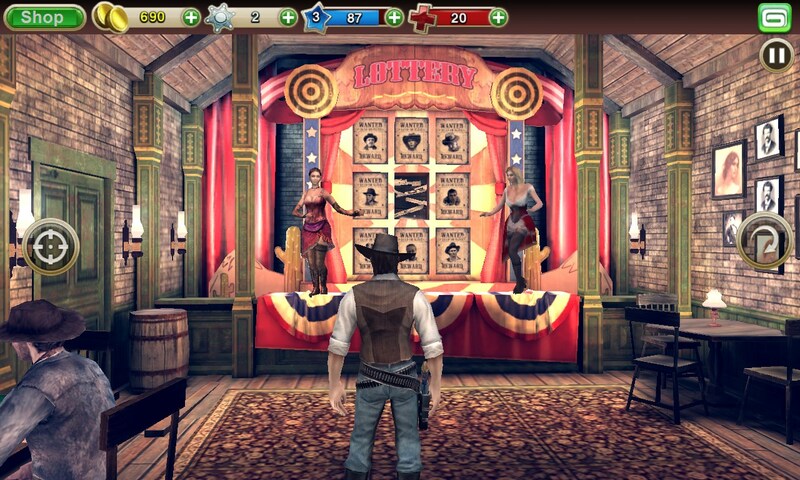 Finally, a long-awaited shooter from Gameloft was released for the Windows Phone platform, Six-Guns. 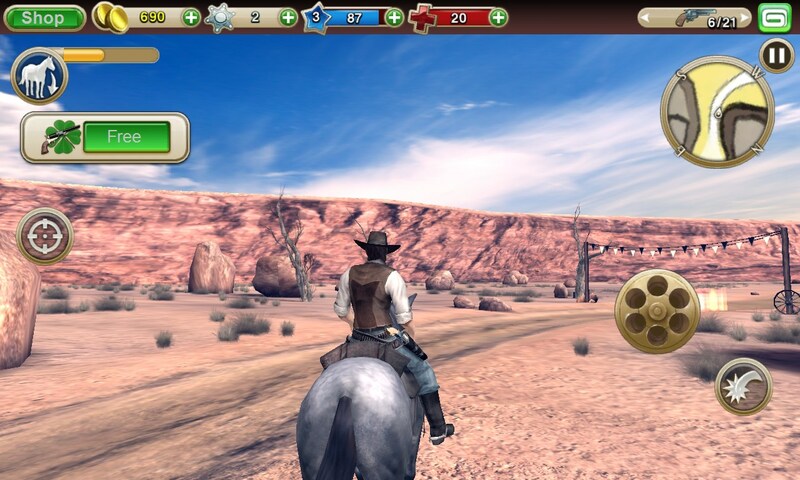 In this game you will find the limitless expanse of the Wild West where your true friends can only be a horse and a rifle with a revolver. The game has a multi-faceted plot and consists not only of the shooting although there is of course will be enough of it precisely. At some moments the game will surprise you with quests in which the main character must save a girl from bandits or cure a wanderer bitten by a snake. In other situations, you will find the most real horse race. Moreover, there is an opportunity not only to cut corners but also to in some way activate the accelerator spurring your horse. Since this is a time when cowboys ruled the West, they will constantly challenge you to a dispute and try to catch you on weaknesses. Don't give in to provocations without careful preparation. Otherwise, you will gain not only an ill repute but also the loss of material resources that are better used to buy weapons, ammunition and other equipment. 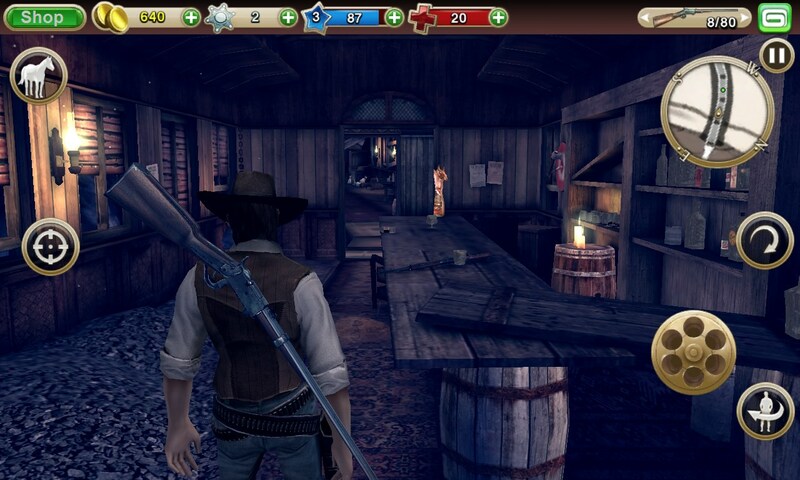 From time to time the game will spring you a surprise in the form of a free draw of weapons and ammunition. And it looks like a separate event in a beautiful saloon with a local attributes where again you can warm up the barrel of your revolver. 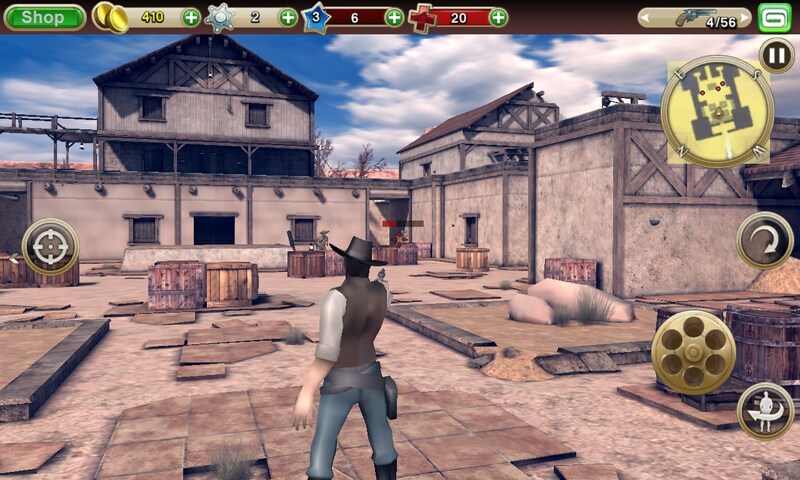 Controlling in the game is quite clear and despite the great abundance of virtual buttons it is really difficult to mistake in its application. 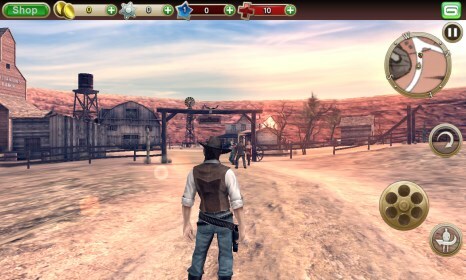 At the left side of the screen there is the joystick responsible for moving the main character, as well as the buttons for the horse and the foresight. By the way, you can shoot both sitting on a horse and standing on the ground, while with the latter option you can also hide behind a cover. There is also an automatic sight in the game but it copes with its task not very well. It is clear that we too need to be involved in the shooting and self-aim but when the enemies start to rush across the location it is almost impossible to play without the automatic sight. At the right side of the screen there are buttons for fire control, for the passing to the next challenge (unless you want to ride a horse through the well-designed landscape) and for a map to which you want to address for the search for next task. Other buttons will appear on the screen at a time when they can be activated. For example, a button that spurs the horse isn't available in the foot mode, and it is quite logical. The graphics in the game are of excellent quality. You will enjoy the high-quality draughtsmanship and animation. Already on the splash screen of the main menu, you will see that the main character is not standing like he was made of stone and looks like a living person. In general, the game is really sound and very interesting. The battery, however, will be unhappy with it so it is better to run it at home near a wall outlet in order not to be left without means of connection. 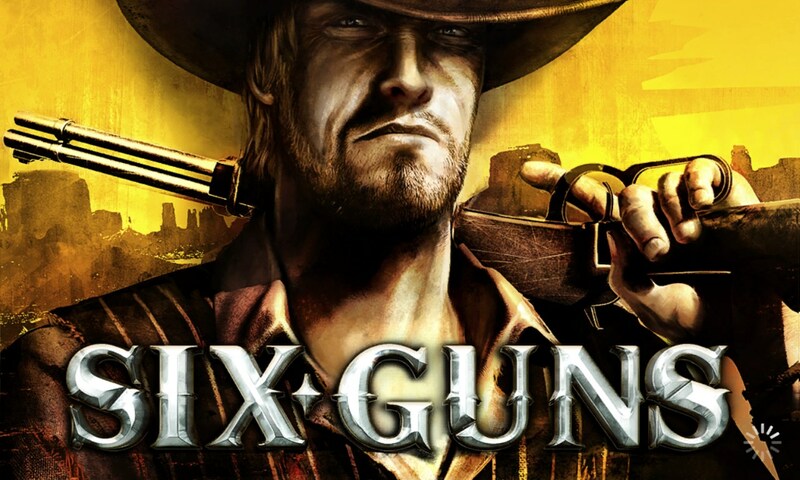 We recommend it to all fans of quality shooters with elements of action. I don't really follow you, have you clicked on the free version link above to go and download this game? Holta no puedo crear cuenta en mi nokia lumia 635 y no puedo descargar nada me ayudarian?? Please provide a little more information. What device are you using? Does the "App requires attention" warning show up on a notification or it simply says that and afterwards the installation is failed? You can use any software for remote phone management. Check that out: http://www.windowsphone.com/en-in/how-to/wp8/apps/how-do-i-install-apps-from-an-sd-card I hope it helps. Let me know if you have any other questions or further troubles. Hello friend I have been downloaded the xap file on my Lumia but when I am trying to instal it says attentaion required, help me please. Nt showing up in sd card is it coz i dnt hv enough space to install? Hello how to install xap file !